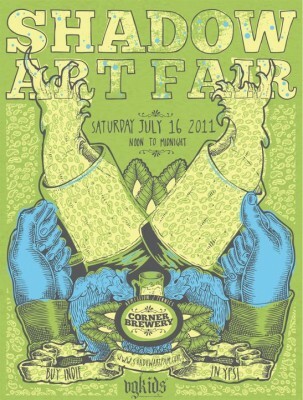 The Shadow Art Fair returns to the Corner Brewery in Ypsi next Saturday, July 16 from noon to midnight. Forty vendors will be on hand displaying and selling everything from pottery to tea to T-shits to art. Local music and special beer will also be on hand at this community-drive event. Admission is two cents, and goes toward the Shadow Arts Grant, which helps support local artists. Carey and I will be sharing a table at this event and we hope you’ll come out and say hello! 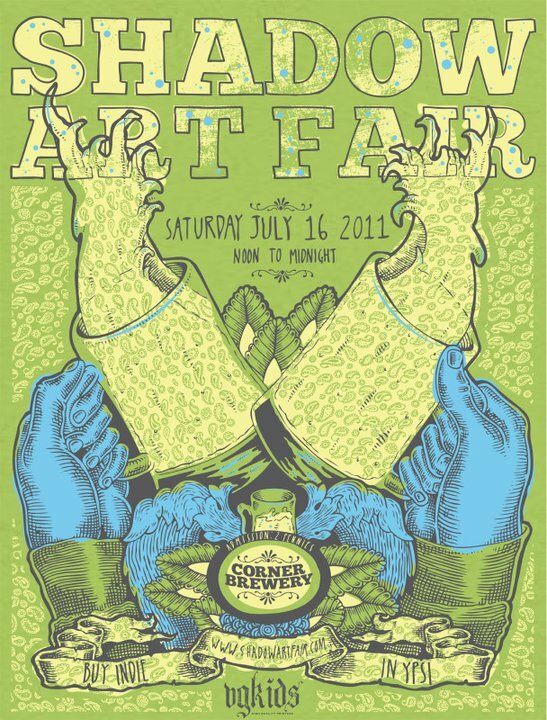 More info on the Shadow Art Fair site.